Our experienced and qualified staff can help you at every stage of your development project. Whether you're developing a 'greenacre' block, building your new home or subdividing, we're here to help. What can't we offer might be a better question. Check out our list of comprehensive list of services below, and if you're not sure we're only a phone call or email away—we'd love to hear from you. A Green Title Subdivision is where you divide your block into two or more smaller blocks for development as individual properties. Green Title Subdivisions are perceived to be the best form of tenure (form of ownership of land) in Australia. 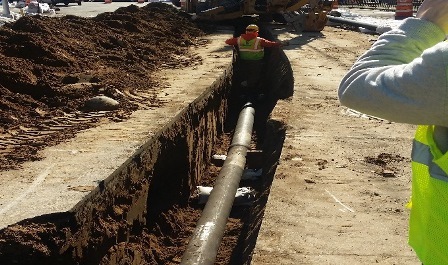 Green Title Subdivisions have their own individual connection to services such as sewer, water and underground power. It provides the most amount of freedom to do what you want on your parcel of land. It will have its own road frontage and no common property. 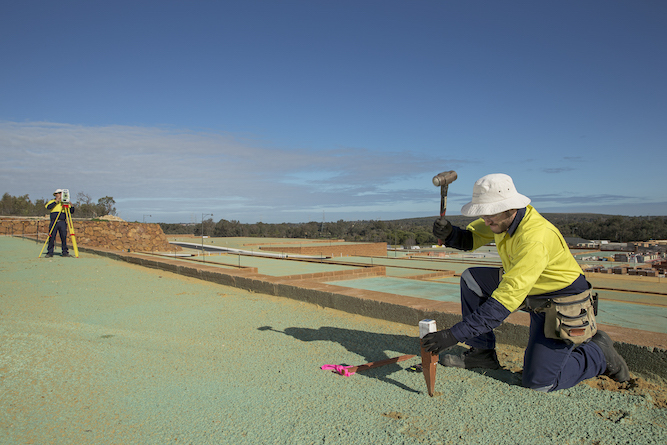 A Green Title Subdivision requires Western Australian Planning Commission (WAPC) approval which has a statutory time limit of 90 days from lodgement of application to approval. The approval is given with conditions. Those conditions usually involve water, sewer and electrical installation and other local government or other authority conditions. The WAPC approval remains valid for 3 years from the date of issue. Our Licenced Surveyors can help you create all the necessary plans and documentation for lodgement with Landgate , to enable the creation of lots and certificates of title. We also mark out the lots as per the regulations on site. This is sometimes referred to as a repeg or boundary re-establishment if it is done separately or at a later date to the original subdivision. Survey-strata Subdivisions are perceived to be the next best form of tenure after a Green Title Subdivision. Survey-strata Subdivisions share connections to services such as sewer, water and power. A Survey-strata enables some smaller blocks to be subdivided which do not meet the green title zoning requirements. A Survey-strata can incorporate a common property access leg which allows the access to be shared by all owners. Survey-strata subdivisions are subject to Western Australian Planning Commission (WAPC) application and approval and follow the same process as a Green Title Subdivision. An additional requirement of a Survey-strata is the provision of a unit entitlement certificate which is provided by a licensed land valuer. The advantage of Survey-strata over a Built-strata is that titles can be created over vacant land, partially vacant land or lots with buildings either under construction or completed. Another advantage of Survey-strata over Built-strata is that there is an independence of actions that each owner has without needing to obtain approval from other strata owners in the scheme. Built-strata Subdivisions are perceived to be the least attractive form of tenure. All buildings and landscaping must be completed before the strata titles can be created. They share all service connections (sewer, water and power). Owners will need the written consent of all other owners (including mortgagers) within the strata scheme if they want to do some alterations to their building or land. If the building already exists then it is a quicker and cheaper way to subdivide. The most common reason people decide to convert to a survey-strata is because, if they wish to make additions to their dwelling or demolish and re-build they would otherwise require a re-subdivision or merger of buildings and land and with these you still end up with a built strata scheme taking longer and costing more. A Boundary Redefinition or repeg (Cadastral Survey) is the redefinition of a lot boundary and can only be done by a Licensed Land Surveyor who holds a current practicing certificate. Boundary Redefinitions are often done prior to fencing or building a structure close to the boundary and the existing marks/pegs are gone. These surveys physically define the existing boundaries by pegs or similar marks in the field so the owners can see where their boundaries are located. At the completion of the survey and within 30 days, a repeg sketch and regulation 25A certificate must be produced and sent to the client. 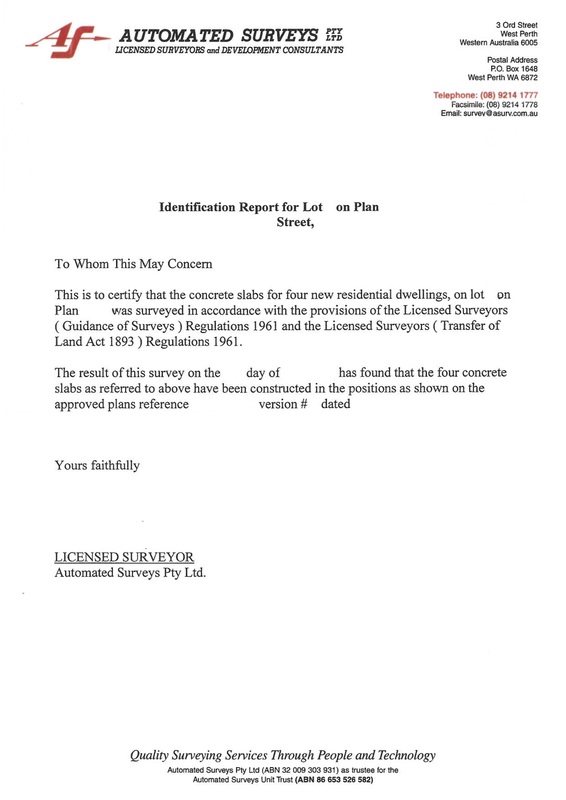 This document is legal evidence as to what the Licensed Surveyor accomplished during the survey. Automated Surveys can re-establish your boundaries and you can be assured that the investment you are building is placed in the correct position and that you are not leaving yourself open to possible litigation in the future. A boundary re-establishment is a pre-requisite for a building setout. Where the relationship of structures to the lot boundary is required for legal purposes, then an Identification Survey is carried out by a Licensed Surveyor. These measurements will show the clearance distance or encroachment distance of a structure in relation to the lot boundary. 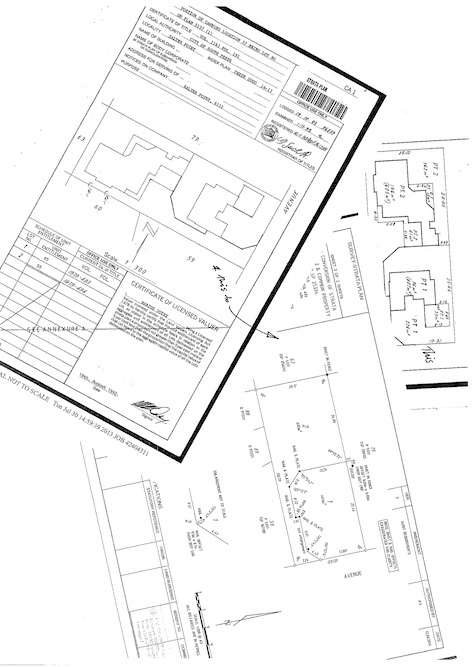 A written report with an accompanying plan is provided and signed by the Licensed Surveyor. A requirement of all development projects is to know what features - man made or natural - exist on the proposed development site and also its immediate surrounds, as well as the contours over the land to gauge slope and levels. This information is captured digitally and used to produce a base plan which is then used by architects and designers to design your new home or extension. We also use this plan as a base for a subdivisional proposal plan if you decide to do a Green Title or Survey Strata subdivision. 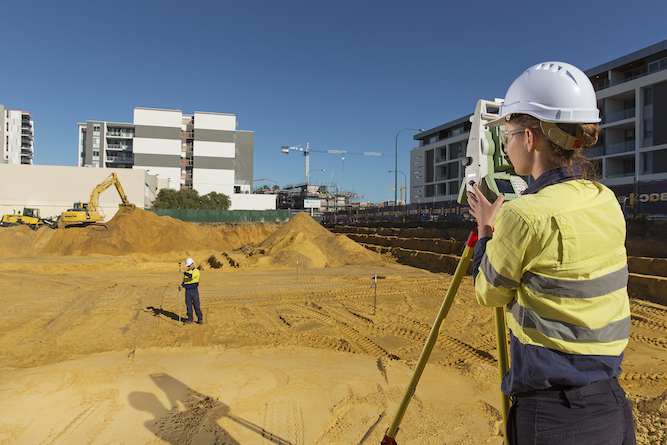 Site Surveys, Feature and Contour Surveys and Detail Surveys are all undertaken to map the current features and lay of the land of a particular parcel of land where new construction of some sort is going to take place. This is the very beginning of the developmental and design stage of any building or significant structure. Set Out Surveys are undertaken once a building or structure has been designed and approved by the local government or relevant authority. They physically mark the location of the structure in relation to the legal boundaries. This can be for a residential dwelling or a complex high-rise building, bridge, tunnel or any physical structure. With smaller land parcels and larger homes being the trend this is becoming more important for home builders and owners. Where the builder requires a house to be constructed in a particular position on a lot, they will order a building set out. When the slab is poured the builder may also order a further marking for the bricklayer to follow, especially where walls are close to lot boundaries. Any position required by the builder can be marked out on site by the surveyor, thus eliminating guess work or builder error. 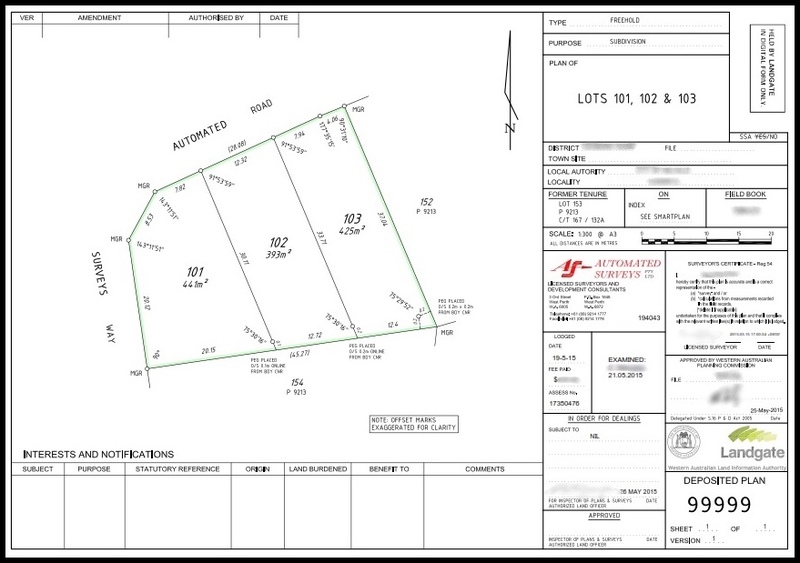 We can provide contour and feature surveys for your preliminary subdivision design, development application and for preliminary engineering designs. Unmanned Aerial Vehicles (UAVs or Drones). High-rise Construction Setouts are carried out by a team of surveyors including a Licensed Surveyor to ensure the building is correctly placed on the lot. An Engineering Surveyor sets out critical plan points on site so that the construction can be carried out with accurate positioning. The Engineering Surveyor will be able to work from hard copy drawings or digital DWG files (AutoCAD or other design application files) provided by the builder. Accurate grid positions and height data are part of the requirements for each floor of a high rise construction site. 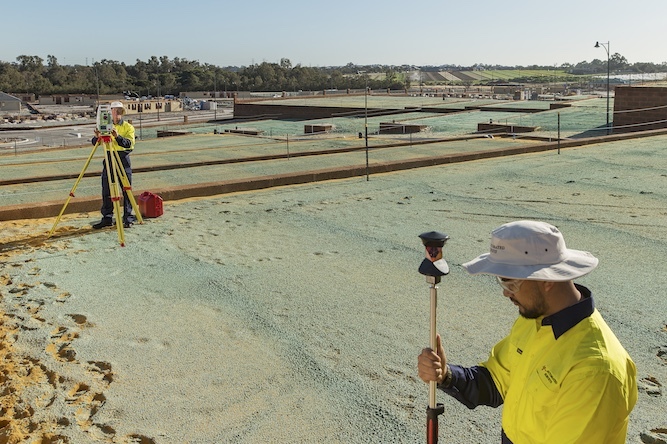 Automated Surveys operates with the latest Leica equipment to ensure the most accurate measurements are provided for the construction crews. Our experienced Engineering Department staff are ready to assist you. Automated Surveys can prepare a very accurate 3 dimensional model of any number of objects. Our state of the art laser scanner can measure a million points per second for creation of these 3 dimensional models or maps. These can be used for efficient and accurate volume calculations for stockpiles or quarries, building facades of heritage listed buildings, all types of complex machinery which may be required for wear and tear purposes or simply if you need a 3D model of the inside of your office or warehouse. Laser Scanning is a very efficient way to capture large volumes of accurate digital data of complex structures to assist in design or mapping. Automated Surveys uses Leica ScanStations for this work. There is no job too large or too small for the Leica ScanStation. 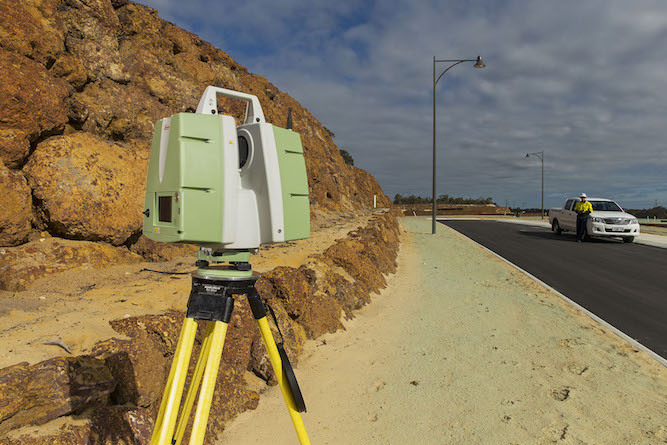 As Constructed Surveys are done so that the responsible agency or authority has accurate three dimensional data of the location of their assets. In a rapidly expanding world such as ours, this is extremely important for forward planning as well as for maintenance reasons in the future. Services such as sewer, water, electrical and drainage mains are all surveyed and captured as three dimensional data including all fittings such as manholes, bends, flushing values, hydrants etc. 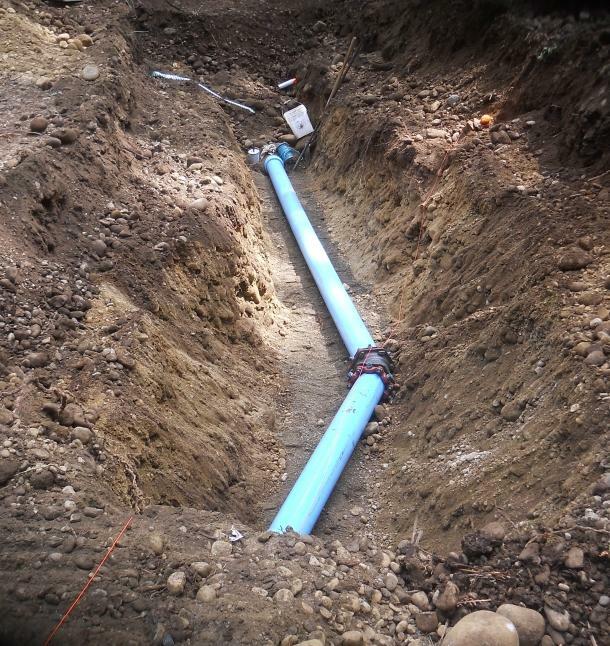 The surveys are undertaken as soon as the mains are laid so that the civil contractors can back fill without delay. These surveys are carried out by a Licensed Surveyor as they require Boundary Redefinition so that the asset is captured in an accurate relationship to the adjoining legal boundaries. Depths of these mains are also surveyed at the same time and are equally important for obvious reasons. Setouts and As Constructed Surveys are often required to determine the exact position of buildings, retaining walls, swimming pool boundaries prior to pouring slabs or building walls. 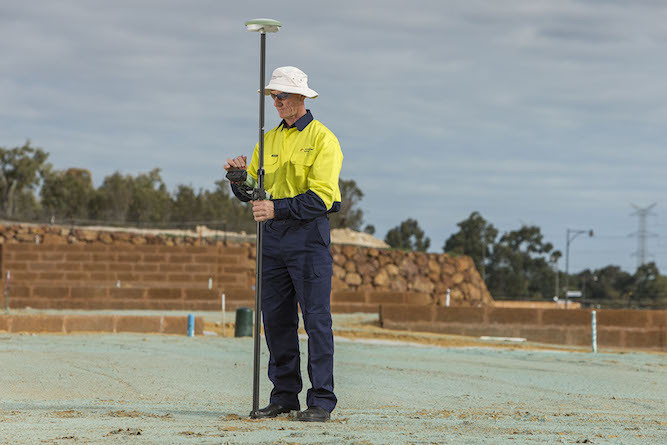 Automated Surveys is equipped with Global Positioning Systems (GPS) units which use satellites for accurate positioning and our surveyors are able to integrate GPS Surveying with traditional surveying where needed. The development of Unmanned Aerial Vehicles (UAV) Technology - Drones, has allowed Surveying to evolve and use Aerial Mapping to map vast tracts of land at very reasonable cost and at a very short time frame. 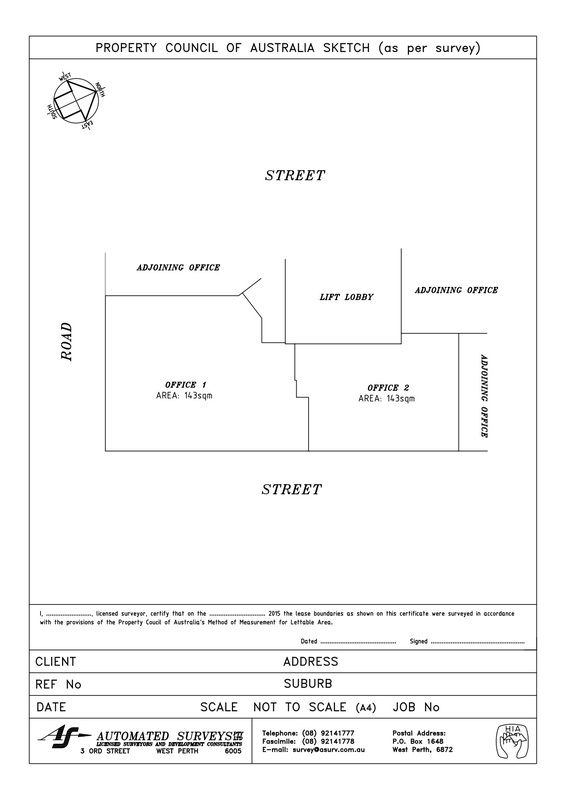 Lease Area Surveys can be for either land or buildings. Lease area surveys for building tenancies are by far the most common and can be for either offices or commercial shops and shopping centers and these are all based on the Property Council of Australia guidelines. Office building tenancies are done under the Net Lettable area rules and shopping centers are done under the Gross Lettable Area rules. A Lease Area Survey done by Automated Surveys will result in a sketch of the Lease Area together with a covering report/letter. Applying for titles is the final step in the complex Land Development Process. It can be a relatively simple process if you are planning on retaining all the subdivided lots created. It is still advisable to have professionals such as settlement agents or conveyancers doing this for you. If you are planning on selling even one of the subdivided new lots there will be transfer documents involved and hence stamp duty assessment and perhaps mortgages and lending institutions involved. These can all add complexity to the process and documentation and this is when a settlement agent, conveyancer or legal professional should definitely be engaged to undertake this for you. We can refer you to an experienced settlement agent who provides us and our clients excellent service at reasonable rates.